What are noncomercial picures and how can I find them? What are Alternative Texts and how do I make them? What is Creative Commons and how do I use it? Noncommercial images are images that are open for the public to use, whether it is on their website, or their blog, or just in general. Noncommercial images relate to inclusive design because they are images that can be accessed and used by anyone and for whatever purpose that may be. It’s easy to find an image on the internet, but you need to know how to find an image that is legal and available for you to use. There are multiple ways to do this but the easiest way is through Creative Commons Search. Go to the CC Search website. The main part of the website should look like the image below. 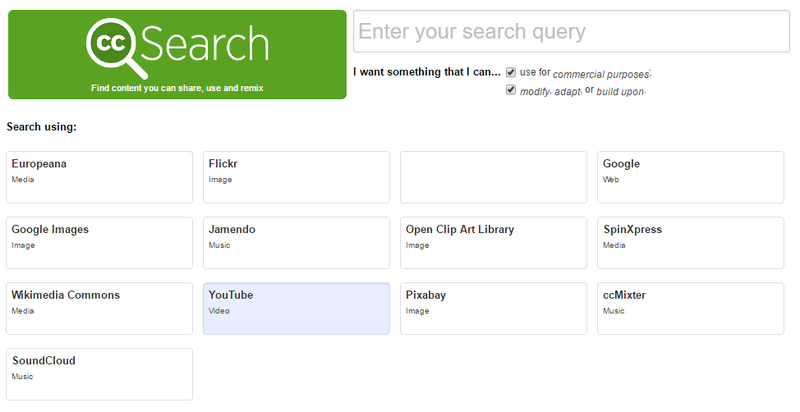 Enter your search query in the top box. Figure 2. Note the red box in the screenshot under the search bar. If you want your image to be able for use commercially, keep the first option checked. If you want to have the option to edit your image, keep the second option checked. Choose what kind of media you are looking for (listed as the subtitle). Figure 3. Note the blank box. This box is just a regular Google search, and the blue is just a highlight. The reason you would need to do this is becuase when is most often done is people will go onto a search engine, type up what they are looking for without checking if it's avaiable for use, and use it for their own needs. As harsh as it sounds, this is illegal. Finding legal content, however, is much easier with CC Search, and it won't get you into legal trouble. To make a document more inclusive, you can follow the IDRC ADOD guide, whichwill make your document much more user friendly and accessible. This ADOD guide shows and provides you with pretty much all thedifferent types of documents and tips on how they can be much more inclusive and accessible for the users.What it means to make a document more user friendly is making it more engaging, appealing, and well structured for the userto better navigate and catch the attention of the user. What it means to make a document more accessible is making it in a waythat as much people as possible can access and understand your document, examples of this is a alternative text option and makingcontent more easy to understand. An alternative text is a description of the image detailing and giving a literal definition of what pictures and images are showing and portraying so that people who are visually impaired can understand them and if the image fails to load for the user. You have to first look at what the image is trying to portray to you. Give a literal and an as detailed as you can description for the image using the most appropriate and least amount of words you can. By looking at the alternative text description you should be able to visualize what the image may look like and maybe the message that it is trying to give to you. 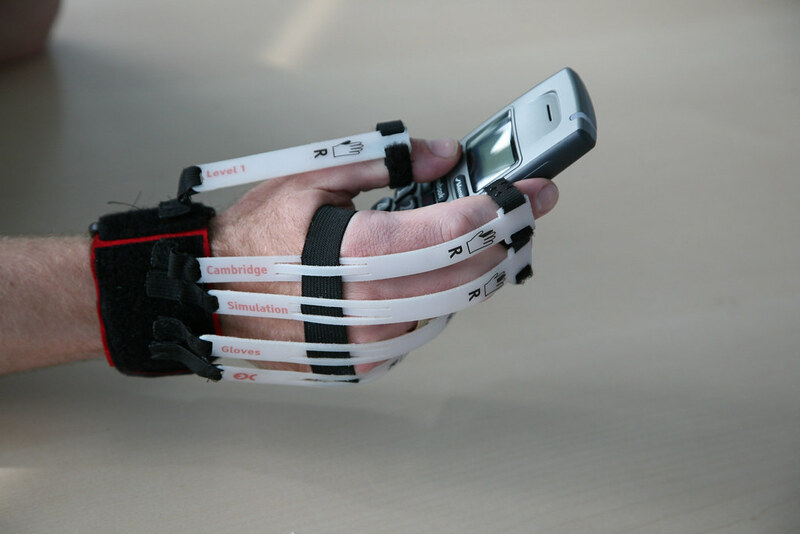 A man wearing a Cambridge simulation glove and holding a phone. A FLOE (Flexible Learning for Open Education) concept design mind map, that is describing the different ideas, tools, and parts which work together to create an inclusive environment for the user to use. Creative Commons (sometimes referred to as CC) is a non-for-profit organization that helps people find content legally, and issues CC licenses for free. A CC license enables the free distribution of content that would otherwise be illegal. Creative Commmons and inclusive design are connected because Creative Commons is free to use, can be used by anyone and for any purpose, and very easy and convenient to use. As mentioned above, A CC (Creative Commons) license is a public copyright license that gives a range of different rights for people to reuse the image, depending on the license. Choose your License.In the ‘License Features’ box, check all the boxes that apply. Then when you are done that, look in the ‘Selected Licence’ box, and the subtitle will read what kind of license you have chosen. Finally, to add a license for third-party platforms. Many media platforms (such as Flickr, YouTube, SoundCloud) have built-in Creative Commons capabilities, letting users mark their material with a CC license through their account settings. If it does not, you may copy-paste the same steps as listed above into the text description of your media. They should have followed the same steps as listed above. If the resource is an online or offline document, it should be on the footer of the page (if it is not located there, you may have to contact the owner to ask about their Creative Commons site). If it is for a third-party platform, you shouldn’t have to worry, as most media platforms have a built-in Creative Commons license.